Can you believe that Birchbox turns five here in the UK this month? I'm pretty annoyed that I was late to the Birchbox party, like why? But, I am definitely a Birchbox girl now and I knew that if Birchbox were celebrating their fifth birthday then this month's box would be pretty good. So much so, I actually wanted to wait in for my delivery. Sad, I know but so worth it. Birchbox most definitely wanted to celebrate their birthday in style with the very cute keep sake tin full of goodies by channeling the most British occasion, the tea party! And who doesn't love a traditional English tea party. But this box is not like any other, not only does every subscriber receive six, yes six products in their box, but they will also get a beautiful keepsake tin inside of the normal drawer boxes. Seriously this is such an adorable tin, I'm in love with the pattern. Every subscriber will receive the Ella Eden Compact Eyeshadow in either Julia or Faith. Being a girl who is all about the subtle pink shades this time of year I decided to go for Julia and I am really impressed with the pigment too I can't wait to try this shade with some summer looks. So let's take a closer look, shall we? Ella EDEN’s mineral pressed eye shadow gives you a versatile base of color you can easily add to, or wear alone. The creamy consistency is easy to blend, and the deep hues create the perfect look for conservative daytime wear, or bolder statements to highlight your nightlife. 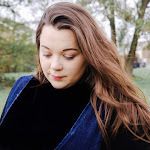 Being a girl who is all about the subtle pink shades this time of year I am really impressed with the shade Julia as the blend and colour has been formulated for all skin types and long-lasting wear. I also love that it's cute and compact for on the go as I can easily pop this into a handbag for those top ups. I do love primers and I was really eager to try this one, however I was slightly disasspointed with the size of the product that I came in my Birchbox. I only had just enough for just two applications. This is probably the smallest product that I have got so far, come on now Birchbox!!! But the primer itself is pretty good and I think I will probably will make a purchase. This soft-radiance face primer instantly minimises the look of pores, locks on makeup and helps skin look bright, boosted and awake. It’s the same oil-free, lightweight, silky smooth texture as the original the POREfessional: Pore Primer PLUS a hint of soft pearly pink. I came across Number 4 a couple of boxes ago with their sugar spray and if was amazing and gave my hair a lot of texture, and I pretty sure that this soothing balm will be pretty good too. This soothing balm mimimises frizz, restores softness and protects against humidity and heat damage. Fluoro Technology makes it all possible with the ability to create the tiniest smoothing molecules that enable the finest Number 4 ingredients and Liquid Complexes to go into the hair’s core and work faster, reducing drying time while creating a shield of humidity resistance and heat protection. Have you ever used Number 4? The most important part to a skin care routine is sun scream, however even though it's super important so many of us forget. Don't be fooled by the lack of sun in the UK you need to still protect yourself and your delicate skin from the harmful UV rays. We are now going into the summer season with many of us booking holidays abroad and family getaways to the seaside, so don't forget your sun cream and add a thin layer into your daily skincare routine. And so I was happy to see this in my Birchbox because I was actually looking for a sun cream that would be good for my sensitive skin,. So far it's been great for my skin. But if you're like me you will feel like putting on sun cream becomes a bit of chore because it takes so ling to sink into the skin. I really like this one from Polaar because it goes on so smoothly and quickly sinks into the skin to help protect you from the harmful UV rays. It's light non greasy formula applies easily without leaving any white streaks. Perfect balance of UVA and UVB filters to help fight against sunburn and helps protect the skin from premature ageing. Gimme that sunshine! The concept of strobing is pretty new to me, and I have yet to use this on my cheekbones, cupids bow, or nose. I have used it to outline the corners of my eyes and it made my eyes look much brighter and that I looked refreshed and awake. This little pencil help give me the beautiful radiant glow that most of us desire during this time of the year. It's precise tip allows for targeted, foolproof application so you can highlight the positives while the creamy formula blends seamlessly into skin, thanks to vitamin C and E. It's also buildable so you can go from a subtle radiance to a high-voltage glow with just a few strokes. We are all about the glow. It's time for tea! 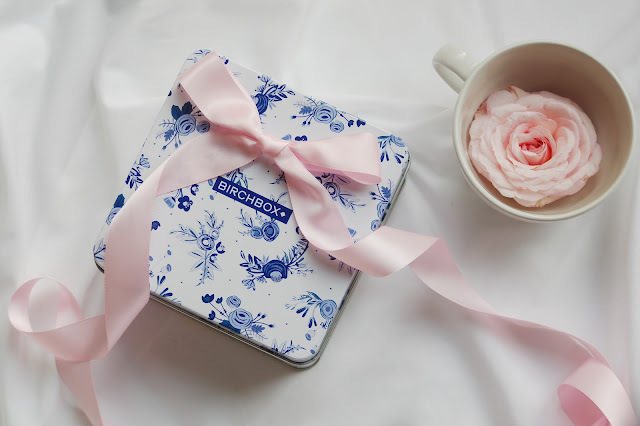 Celebrate Birchbox's 5th birthday with three different tea blends from Whittard of Chelsea. I love tea and I am pretty sure that if you have stumbled across my blog before you will know I have a tea problem, so I immediately boiled the kettle when I saw these in my Birchbox. In my little Whittard of Chelsea box I got three individually wrapped tea bags; Earl Grey, Mango & Bergamot and Lemon & Ginger. Yummy! 23 comments on "BIRCHBOX - June 2018: BIRCHBOX IS FIVE"
I love the little tin, it looks so cute! I'm not sure many of this month's products would appeal to me except the primer, and it sounds like that was very small. Oh well, at least you got to try it and it sounds lke you liked it? I was super disappointed with the size, it's smaller than a normal trial! Yep, pretty amazing! I love a cup of tea. Perhaps you should get a couple and see what you think. You know I always look at these Ind of things and fancy getting involved. I love the thought of a monthly treat but I really expected it'd be way more expensive , the quality of the products looks great for the price !! You should also check out Glossy box! I have heard of birchboxes and do keep considering getting one, but I worry I wouldn't use all the products. I hardly have time to brush my hair most days. Your post is really making me think about it though. It just all looks so pretty. Meanwhile I love Birchbox they tend to have a lot of hair care products. I feel like I need to try these birchboxes! Lovely pictures too! You should try at least one Birchbox, but I prefer Glossy! You should check them out too! That strobe highlighter looks fab! It goes on so well. Even though the one I had was pretty small, it was good. I'm still yet to try this box but the packaging is gorgeous! I adore this little tin so much. After seeing this I am regretting not getting this month's! Yep I must admit it was a keeper.